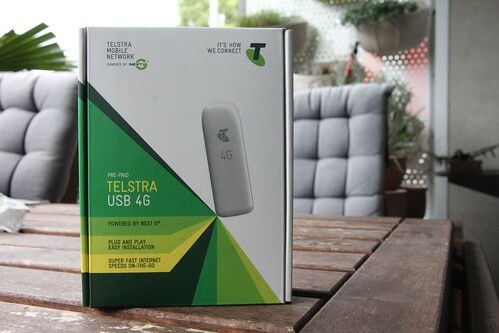 After starting construction work on their LTE network back in May 2010, Telstra finally started trialling their network, starting with business customers in August, and finally launching it for consumers with the Sierra AirCard 320U USB modem. While only officially offered on a 24 month contract, it’s been available for purchase outright (for ~$299AUD). Following on from the AirCard, the HTC Velocity 4G was released in late January. More recently, they also just launched the first LTE tablet – the Samsung Galaxy Tab 8.9 running Android, and, another USB modem – the ZTE MF821. What makes the MF821 special for people wanting to buy it, is it’s being targeted towards the prepaid market. As mentioned above, it’s always been possible to purchase the AirCard 320U outright and then throw a prepaid SIM in there, $299 was quite pricey for the average joe. Telstra have priced the MF821 at $129, which in my opinion is a steal. You also get 3GB to use in the first 30 days from activation. Picking one up on launch day was tricky – while the product was launched Wednesday with an availability of ‘today’, only 2 of the 5 Telstra stores I visited had them in stock, let alone had heard of them. After finally hunting one down, I was in business. The store assistant even offered to activate it for me on the spot. If you haven’t heard of LTE (also known as 4G) before, it’s the next generation of wireless networks – in real world situations it’s at least twice as fast as 3G. Telstra have been rolling out this network to compliment their existing Next G 3G network in capital cities, until enough spectrum is available to roll it out to the rest of Australia.